Welcome home to this spacious, move-in-ready ranch in the very sought after Great Oaks subdivision. This home features three large bedrooms on the main level, vaulted ceilings, open floor plan, island in the kitchen, main floor laundry & neutral paint throughout. The spacious master suite features a walk in closet, large stand alone shower, jetted tub, double vanity sinks & ceramic tile flooring in bath area. Enjoy warm cozy nights by the gas fireplace in the living room or sip your coffee on the spacious back deck. The lower level walk-out has been beautifully finished for your pleasure with a media/game room, full bath, extra living space & ample storage. Basement has also been stubbed for a future wet-bar, you bring the plans! The backyard is completely fenced & both the front & back yard have an irrigation system to keep your grass green all summer. 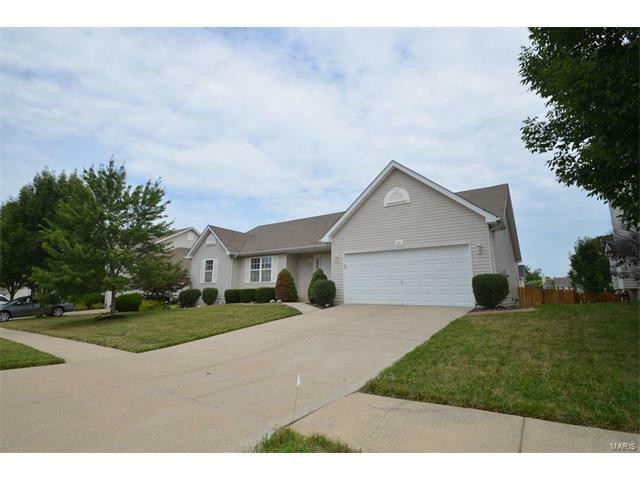 Don’t miss this gem in the heart of Wentzville!